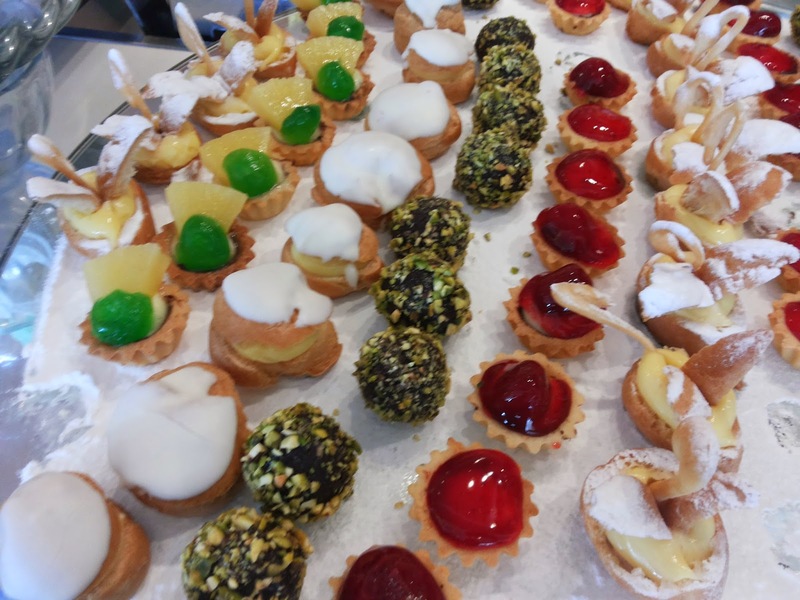 Mother's Day passed and if you noticed, I haven't really written about my celebration. 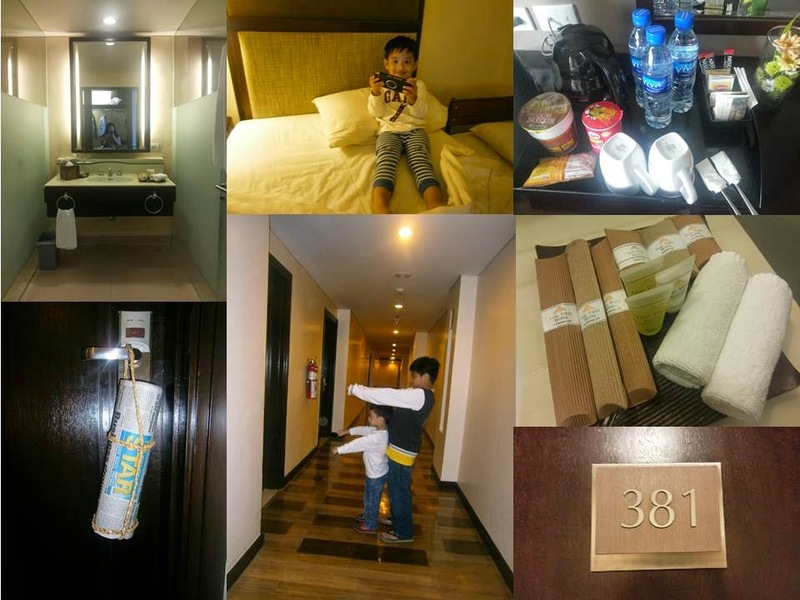 But this, I will not let pass without telling you about it - our quick post-Mother's-Day-getaway at Taal Vista Hotel in Tagaytay City. I've frequented the hotel as their corporate client and as part of work. But this time, I was back, and with the whole family, for two days to relax and simply take a break from the hustles and bustles of our usual stressful city life. From SM MOA (where we were picked up by Taal Vista Hotel's service van), travelling to the hotel only took us an hour and a half. 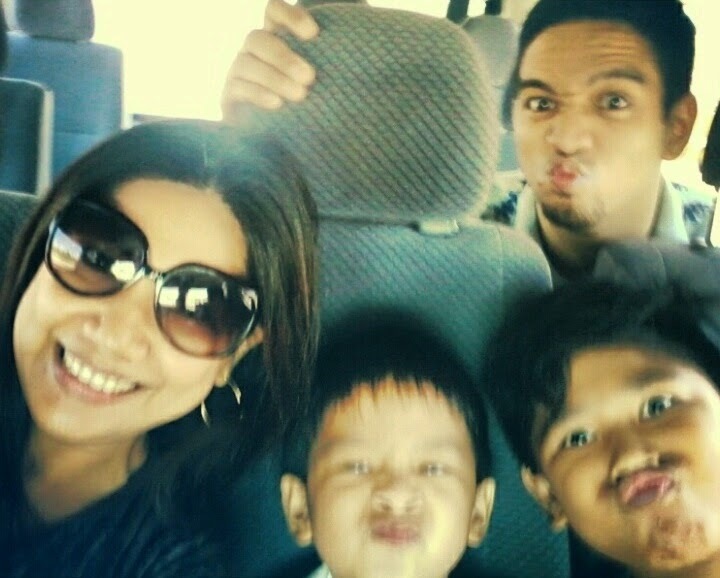 It was a perfect day to travel with the family. We enjoyed the simple pleasure of having a safe drive to the hotel on a wonderfully sunny day. Navigating your way to the hotel was easy. Taal Vista Hotel is located at Kilometer 60, Aguinaldo Highway, Tagaytay City. It's right beside Sky Ranch, Tagaytay's newest theme park. There is something reminiscent about Taal Vista Hotel whenever I step on it. You know the feeling of familiarity and being very at-home? That was my heart's state upon arriving the hotel. Taal Vista Hotel celebrating their 75th anniversary this year and I am proud to part of their digital media guests to experience their A-list hotel amenities and services. "It was in 1935 when President Manuel L. Quezon expressed interest in developing Tagaytay as a tourist destination in the Philippines with Taal Vista Lodge as one of the leading attractions. 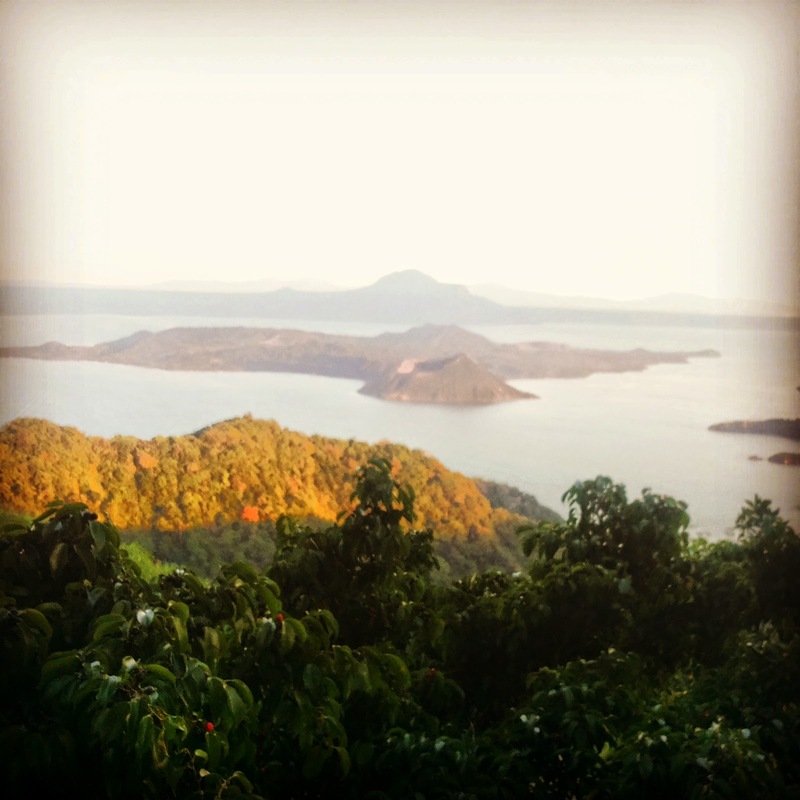 The cool climate, beautiful scenery and proximity to Metro Manila quickly made Tagaytay a leisure destination of choice. 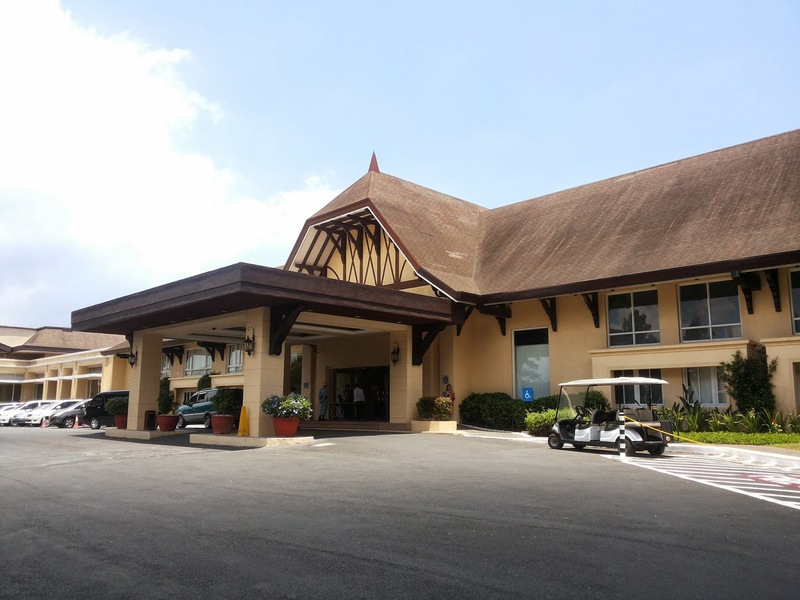 Officially opened on October 7, 1939, Taal Vista Lodge was the first hotel in the city of Tagaytay. Since then Taal Vista Hotel has become a landmark in the city with its iconic Tudor-style architecture and panoramic view of the Taal Lake and Volcano." "The year-long celebration will culminate with the Taal Vista Hotel 75th Anniversary Gala Party on October 11, 2014. 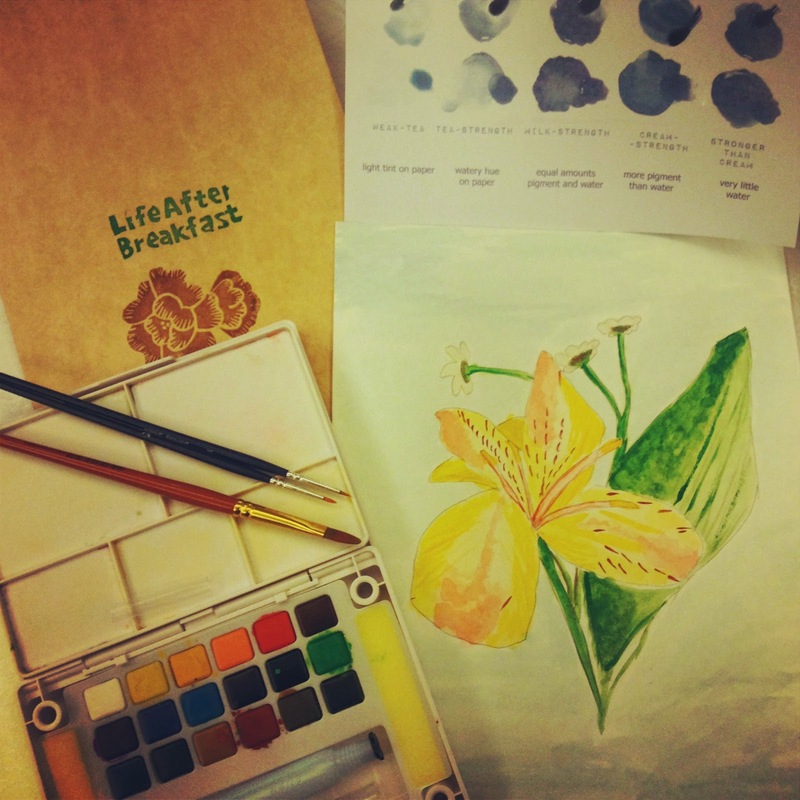 The event will feature an Art Deco theme reminiscent of the 1930s." A sumptuous lunch was in order upon arrival and before checking in. As expected, the lunch buffet spread in Cafe Veranda was complete and deliciously filling. I'm sure by now (if you follow my blog), you know how hubby and I are into lunch buffets. 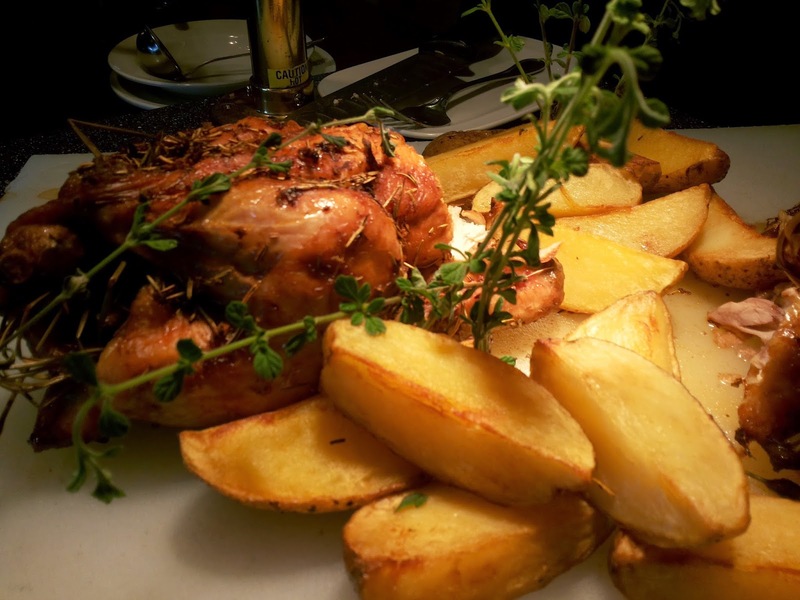 We give Cafe Veranda an excellent grade. The lunch buffet was a feast! 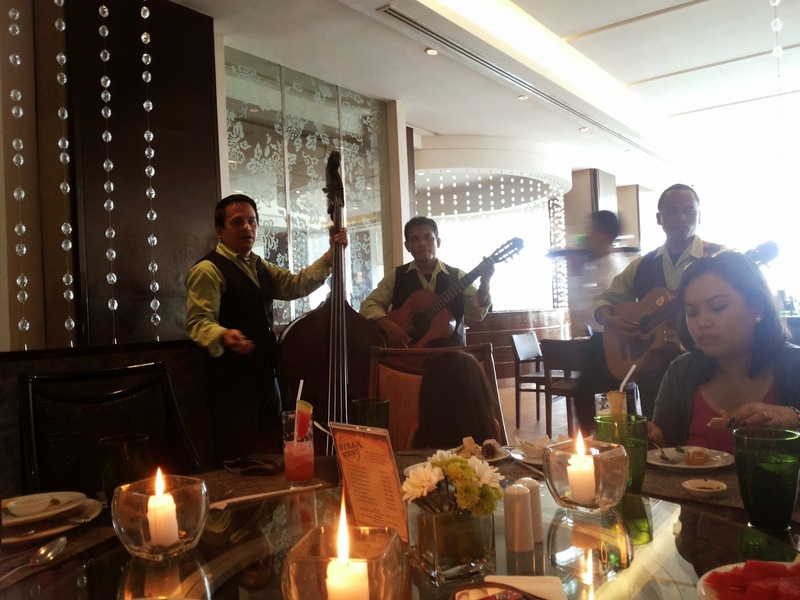 We were even serenaded by their classical string band who surprisingly rendered us their version of Bruno Mars songs. Galing! I wonder where kuya gets his uber modulated voice from, it surely came from beyond his diaphragm! We were checked in at the Lake Wing where the full majestic view of the Taal Volcano is just right outside our room. The view is definitely breathtaking. 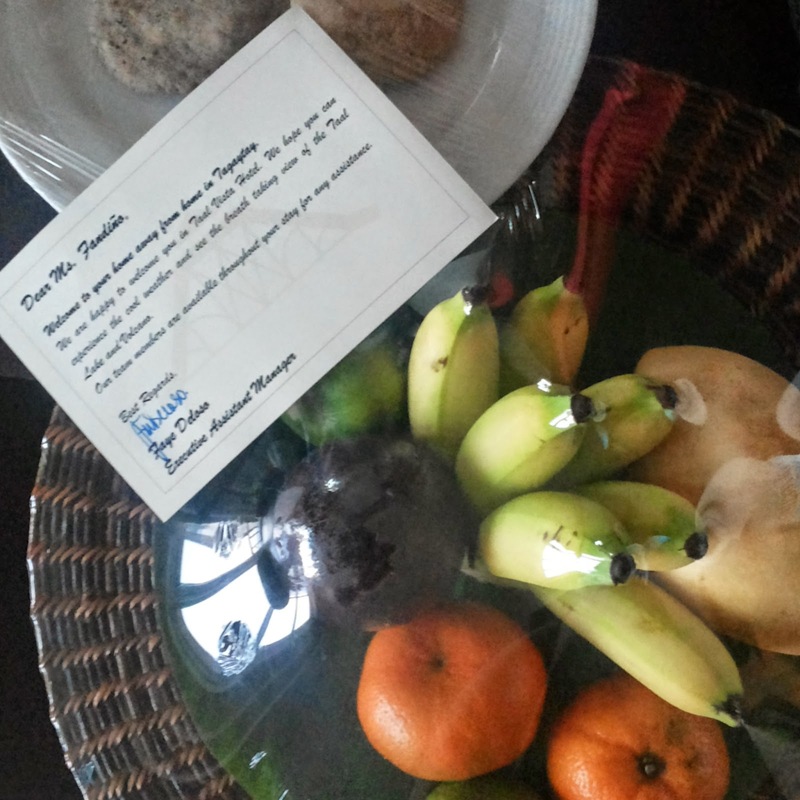 Fresh fruits and cookies were brought to our room and it read: Welcome to your home away from home in Tagaytay. Complete room amenities welcomed us. There was a newspaper hanging outside the next day. Our room with the Taal Lake and Taal Volcano's breathtaking view. 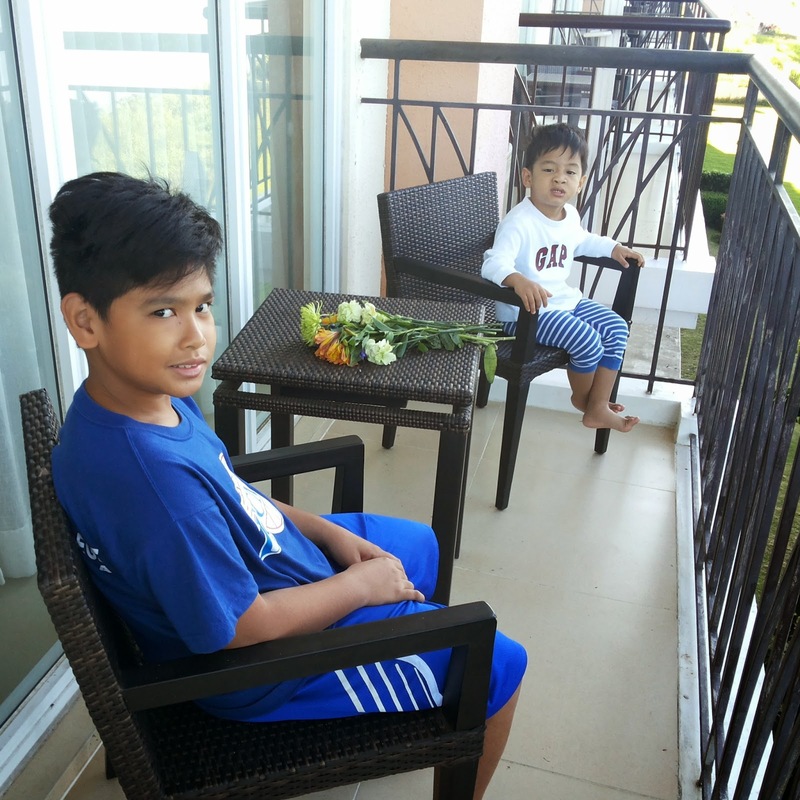 No time was wasted when we were staycationing at Taal Vista Hotel. The swimming pool will never go unnoticed by the kids. So we immediately took a dip and simply enjoyed the sun! If you're booked at the Lake View Wing, you will pass by this hallway where historical photos of the old Taal Vista Lodge are hung on the wall. Let these photos tell you the hotel's beginnings and developments too. You may also want to learn about the hotel's history in one full view, visit their Wall of 75-year History which you could find not far from their main lobby. "Taal Vista Hotel will be also be unveiling the 75th Anniversary Exhibit, a multi-media showcase of Taal Vista Hotel’s rich history, legacy of quality service, and stories of memorable experiences. The exhibit will tour SM Mall of Asia, SM Aura, The Podium, SM South Mall, SM City Dasmariñas, Cavite and SM City Batangas. The mall tour and exhibit will run from September 6 to October 29. The year-long celebration will culminate with the Taal Vista Hotel 75th Anniversary Gala Party on October 11, 2014. The event will feature an Art Deco theme reminiscent of the 1930s." This golf cart is ready to bring you to any parts of the hotel, if you're not comfortable walking long distances. From the Lake View Wing, I rode this cart to bring me to the east side of the hotel where I could find the Mountain View Wing, the swimming pool and their Green House too. The hotel's swimming pool is located near the Mountain View Wing. If you follow this path, it will lead you to more guestrooms, to Magnolia Pavilion, to the Gym and their Asmara Spa, which sadly I wasn't able to visit. Taal Vista Hotel will be opening their Magnolia Steakhouse. 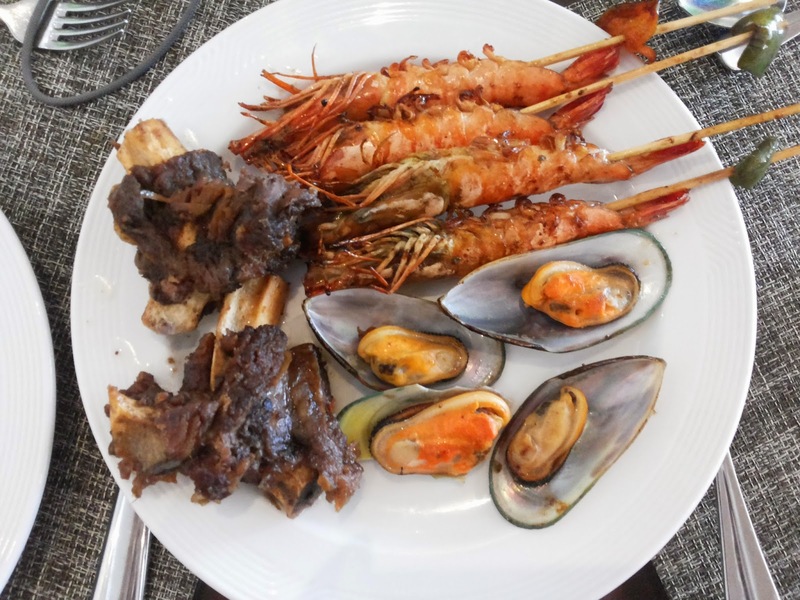 The new dining establishment will be devoted to prime cut beef served with a selection of sauces, side dishes and fresh homegrown Tagaytay greens. Located in the Magnolia Pavilion on The Ridge, the steakhouse will feature an al fresco dining area and sweeping views of Taal Lake and Volcano. I can't wait to return and devour on their steaks, our favorite! While I taking my hotel tour, I was pleased to learn that Taal Vista Hotel dedicated a Green House to grow their own fruits, vegetables and herbs and spices. This is located just beside the pool. When I went inside, they just harvested their produce. But I was still lucky to see a few of their organically grown fruits, vegetables and herbs. They use these in the kitchen, so we're assured that they only use quality and fresh ingredients. 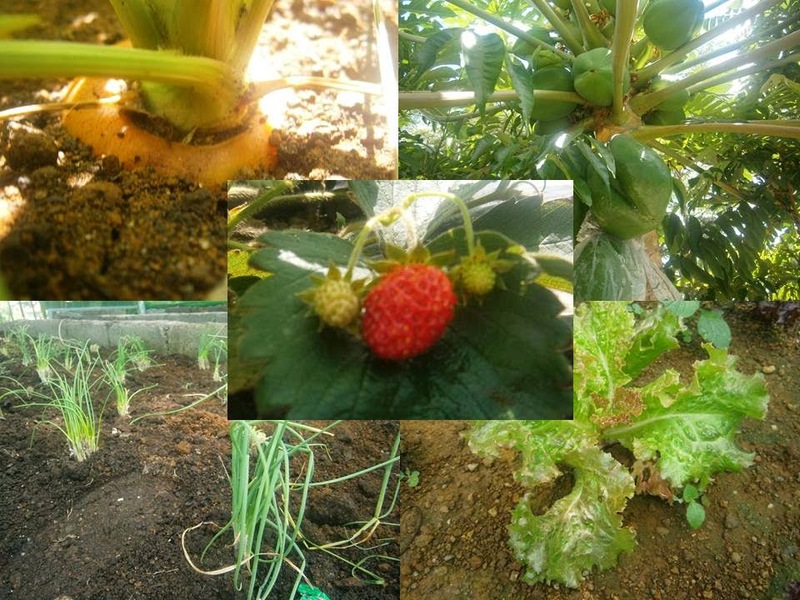 Clockwise from left: Carrot, Papaya, Lettuce, Onion Leeks and a tiny baby Strawberry. 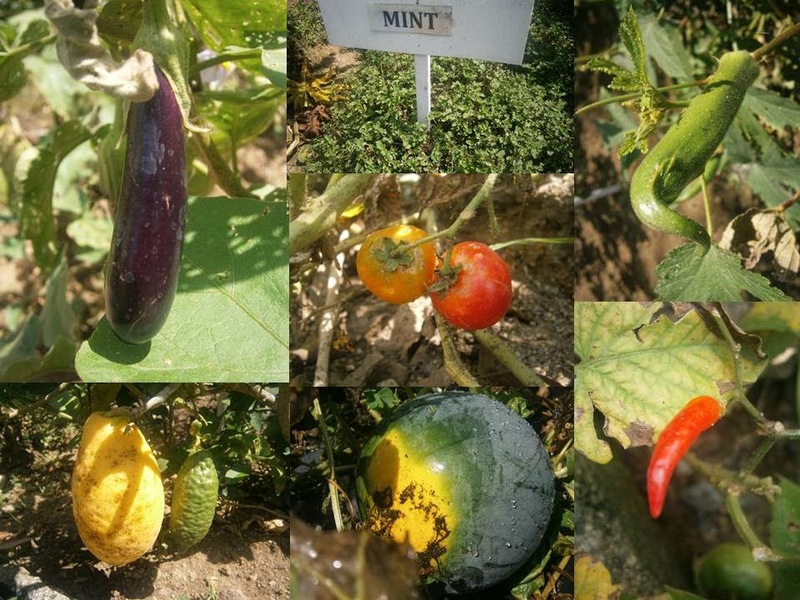 They also grow Eggplant, Lemon, Watermelon, Chili, Okra, Mint and Tomato. After a full-packed day, our dinner was hosted at Cafe Veranda. This time, we had a great chika time with Celine Arenillo, Taal Vista Hotel's Area Marketing Communications Manager. 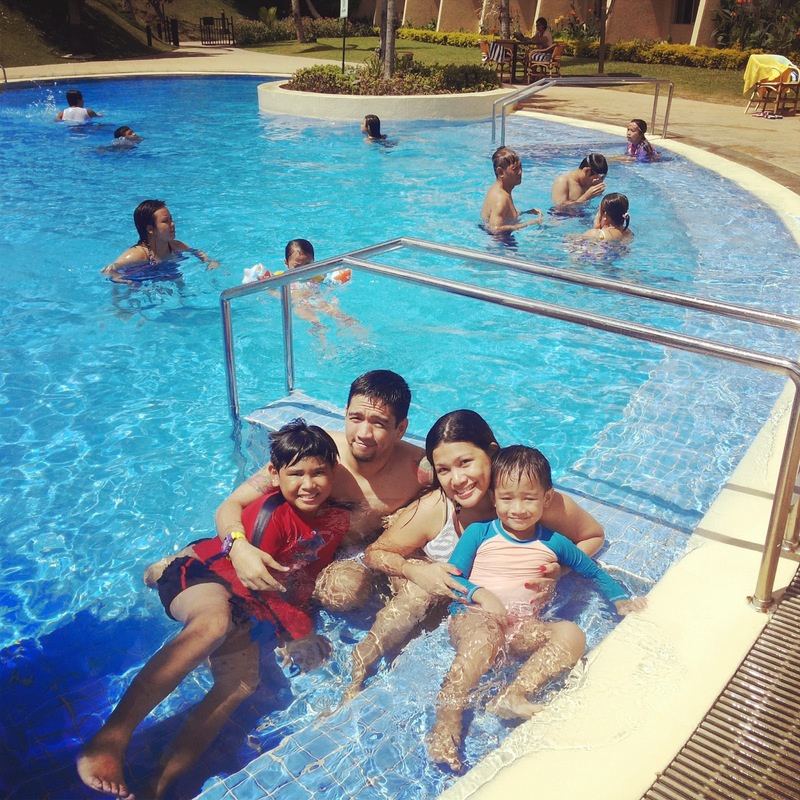 Matet Reyes of Travelogues and her family was also staycationing with us. We were supposed to eat outside but that night, it was windy. 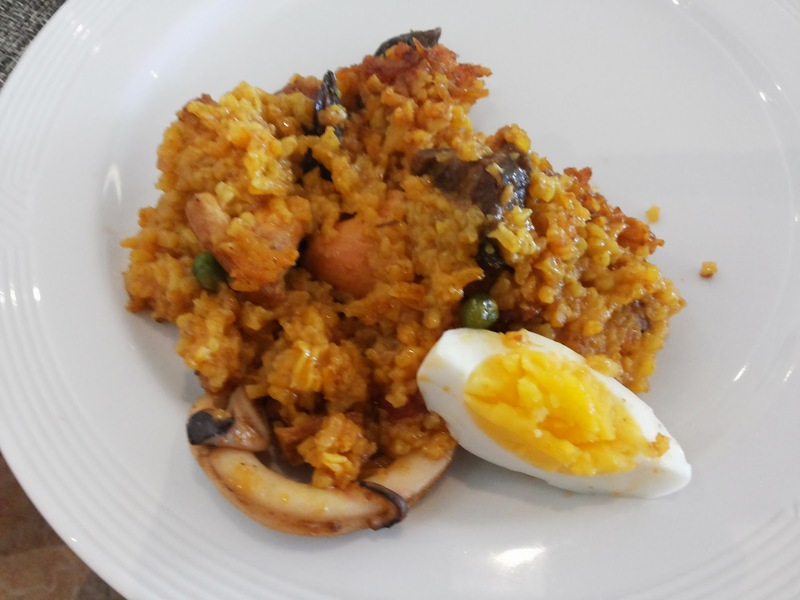 Tagaytay City's specialties were served for dinner. 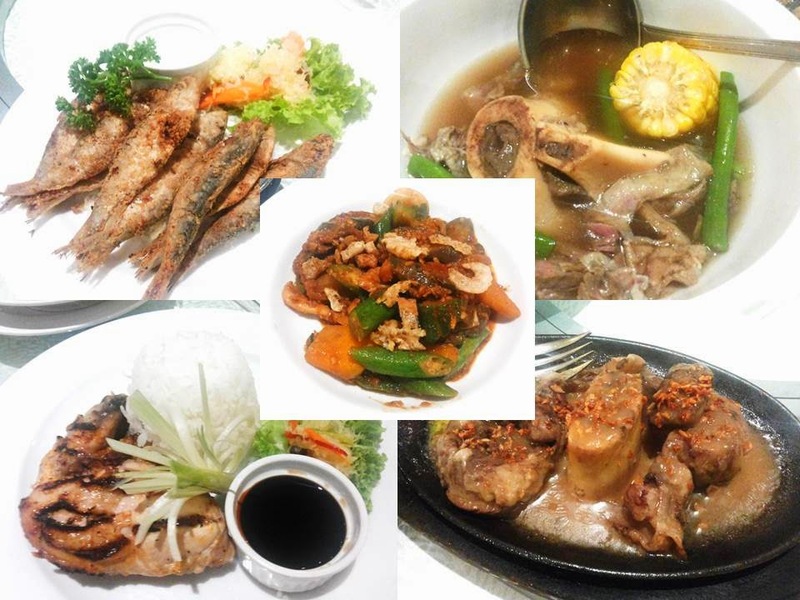 Fried Tawilis, Bulalo, Bulalo Steak, Chicken Inasal and Pinakbet! For a tiring but fun-filled first day and a good night's sleep, a power breakfast should follow the next day. That's exactly what we had at Cafe Veranda. Personally, a good hotel breakfast for me should have BACON in the menu. It's like a pre-requisite for me to say that my hotel breakfast is complete! Indeed we had a COMPLETE one on our second day. After our family's short weekend getaway, I am very happy to have experienced staying at Taal Vista Hotel once more. And this time it's not for work, but to really have a pleasurable staycation with the people I love the most. Whenever we go to Tagaytay, we make sure to pass by Taal Vista even if we're not really staying for the night. 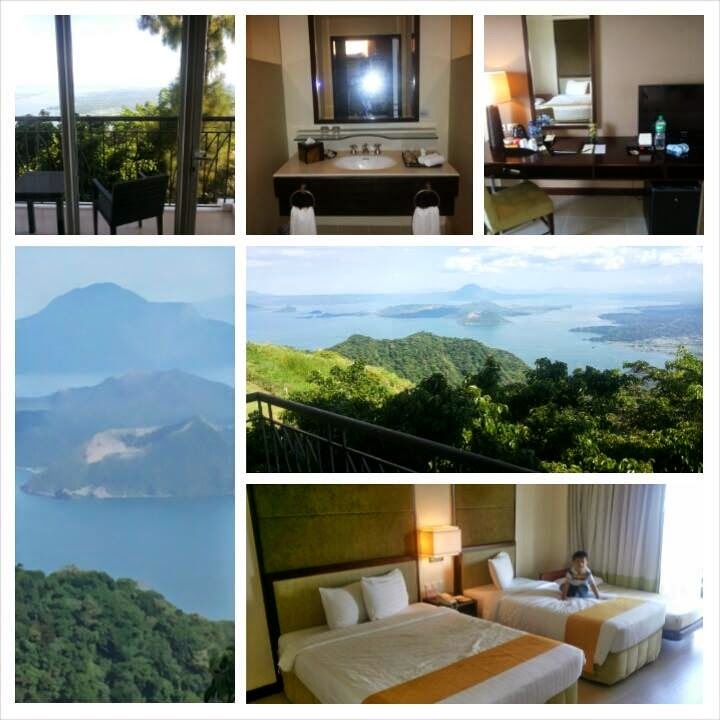 It has become customary for us, basta Tagaytay City, Taal Vista Hotel is part of the itinerary. Big thanks to Ms. Celine B. Arenillo for inviting us over and for making sure we have a comfortable and memorable stay. Your invitation came at the most perfect time! We'll definitely see you again on our next Tagaytay adventure! Taal Vista Hotel is located along Kilometer 60, Aguinaldo Highway, Tagaytay City 4120 Philippines. For inquiries and reservations, please call +63 (2) 917-8225, +63 (46) 413-100 or +63 0917 809-1254. Stay connected with Taal Vista Hotel. Visit their website at www.taalvistahotel.com. You may also follow them on Facebook and Twitter. 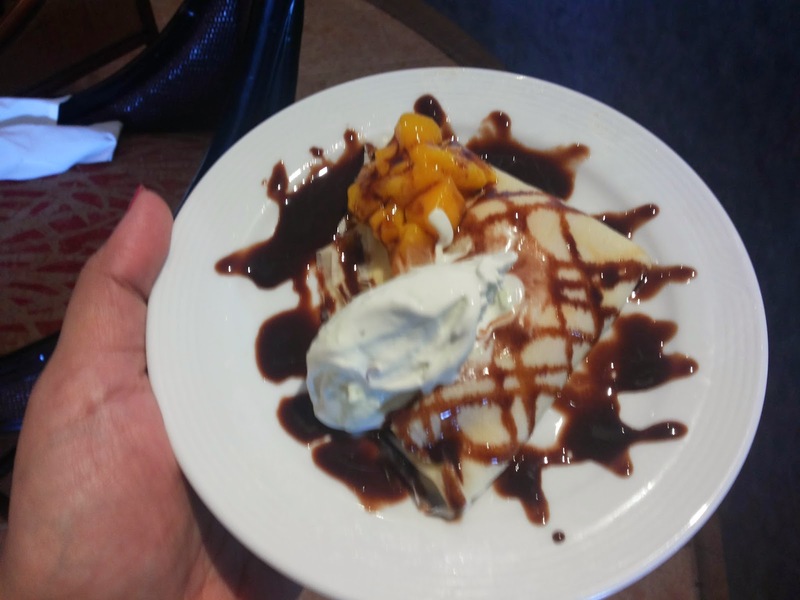 I think you spend a lot in this hotel tour i realized through the information and pics specially through the delicious dishes which is good for the new tourist and may be in next season i go to Us and use GBT buses from new york to orlando ..
Nice article very informative. Btw, full breakfast buffet ba? At included ba siya sa room rate? Thank you!